BD Foundation is a not for profit organization providing a platform for creating awareness on inclusive practices, conducting research and building advocacy platform to promote inclusive leadership. 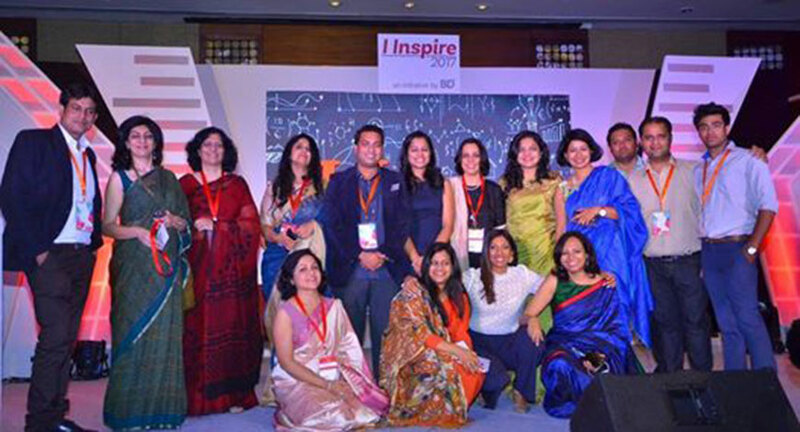 Sharad Mathur director EMG Entertainment says, "This is second year for us to organise I Inspire, which has more than 30+ speakers and 250+ delegates from all over. The event is designed for bringing forth inspiring stories, ascertaining inclusion and awarding those who are deserving. It is designed to give the experience of stark social realities and joys of achievements against all odds." In line with the etheme of the event, the stage at the event depicted designer wings, screens and scribbled content on LED, and to highlight the aspect of 'inclusion' a special ramp was designed along with a deaf and mute interpreter. BD foundation, the organisers, were an integral part of all concepts and design. The Panels included ‘Leadership Stories on Infinite Potential’ with Uma Ratnam Krishnan (CEO, Barclays Shared Services), Anurag Batra (Founder, BusinessWorld), Apurva Purohit (President, Jagran Group), Dilshad Master and Kanika Tekriwal (CEO, JetSetGo); ‘Nationalism: Inclusion or Illusion’ with Vinod Dua, Onir, Gurmehar Kaur, Nipun Malhotra and Vrinda Grover. The debate on nationalism saw Gurmehar Kaur and Vinod Dua. 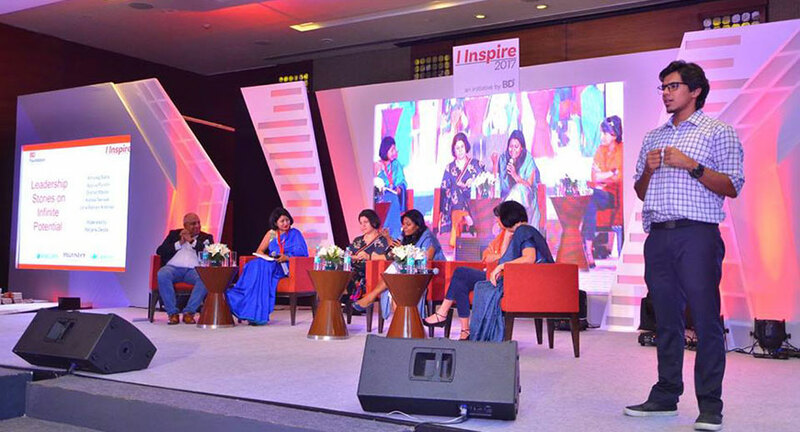 A fireside chat with Sanjay Modi, (MD, Monster (India, Middle East, SE Asia) and Sameer Chadha (CEO, KPMG Global Services Management Pvt Ltd) highlighted the importance of men standing in support of women.